Our team of full-service interior & exterior paint service pros know there is nothing structural about paint. 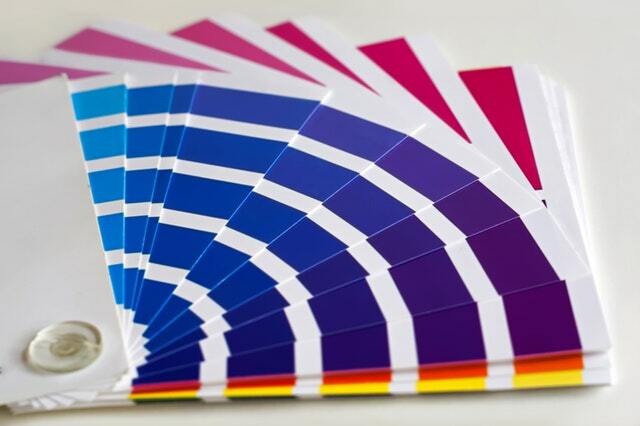 Paint cannot physically change the size or shape of a home or building. And yet, the right paint color in the right room, can really appear to do just that. FS Construction Services’ paint expert, Brian “Boomer” Garleb, has put together some simple, yet effective paint tips to follow if you would like to transform your home, farm, or business. For sunrooms and/or waiting rooms. Whether you’re looking to create a tranquil space at your home or office, using blues or greens in your sunroom or waiting area is a great way to bring outdoor colors into your interior space. This help to foster a relaxing, comfortable room to spend time in. If you’re looking to provide a more vibrant, energetic space, yellows and oranges can give rooms liveliness and excitement. For uniquely-shaped rooms. Most rooms are square or rectangle, making for straight lines and a sense of balance. However, when this isn’t the case, darker shades on the ceiling and floor will create a squared appearance. For hallways and smaller spaces. Lighter shades will make small spaces appear larger and more open. For longer hallways. Conversely, darker shades with a contrasting end wall will visually shorten long hallways. For shelves, built-ins, and storage areas. Colors that contrast with the surrounding walls will add dimension and bring focus to the painted area. For exterior buildings, barns & roofs. Power washing the space first to remove dirt, rust, oils and loose paint before applying primer and finish coats will extend paint life. There are, of course, many more ways to use paint to your advantage. With thousands of colors available from our partners at Valspar, and accurate color-matching tools, FS Construction Services has everything you need to transform your space. We’ve even provided a link to some paint FAQ’s. If you’re just looking to freshen up a single room or get that new coat of paint on multiple rooms before fall and coming holidays, let the experts at Gateway FS Construction Services know. Check out our paint services brochure or give us a call at 866-551-3454, and let our specialists help you find exactly what you are looking for. We look forward to providing you the best customer service experience. Much of the time, the project profiles we share end up being about space: larger grain bins, greater-capacity animal feed systems, upgrading or adapting existing equipment to work with newly-installed equipment, etc. For this profile, we would like to highlight how, from the smallest detail to the biggest picture, FS Construction Services is there for our client every step of the way. This past March, we installed seven new Loss in Weight and Pump Stands at a seed dealer’s location. Our customers treating program is very particular, utilizing multiple pumps which allows the end user to treat incredibly specific recipes per their customer’s request. This set up was designed to be run by an automated system with an electronic panel touchscreen which controls oz/cwt or oz/scu application rates. However, the FS Construction Services team’s involvement doesn’t end at installation. After all of the new USC equipment had successfully been put into place, we wanted to make sure our client felt comfortable using the new equipment and control interface. 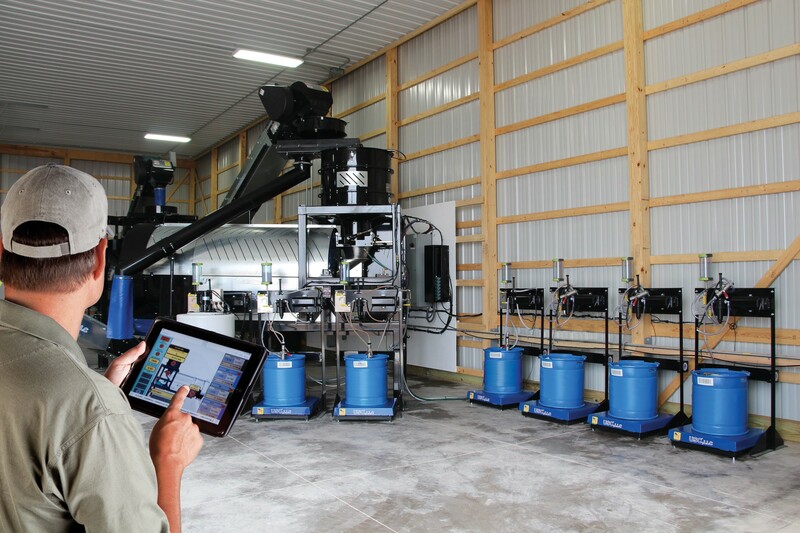 In order to guarantee this, on startup day, we sent a member of our team to treat as much seed as the customer desired, so they could see firsthand how to operate the new equipment and feel at ease taking control of it. At FS Construction Services, we understand that many of our clients have jobs that require great attention to detail and equipment capable of precision. We have the same approach when it comes to our customers, from helping them choose the right equipment to installing and teaching them how to use that equipment. Our goal is that each and every client we have will not only end up with the right tools, but the right understanding of those tools, so they can carry on with their jobs comfortably and effectively. If you have any questions on how to maximize your operations grain system or seed treatment equipment, let the team at Gateway FS Construction Services know. You can give us a call at 866-551-3454, and let our specialists help you find exactly what you are looking for. We look forward to providing you the best customer service experience. For most people, the least enjoyable part of any job is cleaning up the mess after it’s done. However, when it comes to machinery and equipment, maintenance and cleaning, we at FS Construction Services want to stress that it is one of the most important factors determining longevity and efficiency of your valuable equipment. It is important to note that our expert team strongly recommends scheduling routine maintenance checks. Annually, we do so for all types of your key equipment including grain drying, aeration, storage, handling or transfer equipment. Yet, there are many self-maintenance items you can conduct on your own. Because things are usually much easier to digest in list form, here’s a checklist straight from our partner USC on preventative conveyor maintenance for different types of conveyors. 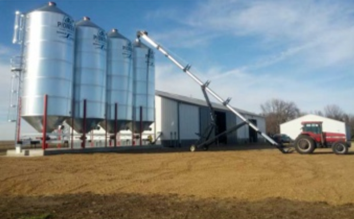 If you have any maintenance or operating questions regarding your machinery or you are looking to replace or purchase grain drying, grain storage, or grain handling equipment, let the team at Gateway FS Construction Services know. You can give us a call at 866-551-3454, and let our specialists help you find exactly what you are looking for. We look forward to providing you the best customer service experience.